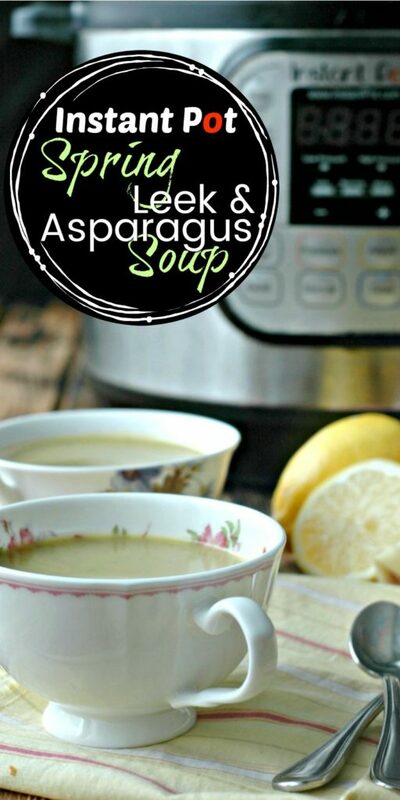 Instant Pot leek & asparagus soup pulls the best flavors of spring with a quick pressure cook prep time! Another lake effect snow storm, polar vortex, whatever you want it call it…is in the books! In March. It’s Michigan…I get that. By March I’m definitely over it, and I’m so ready to bring you some bright, fresh spring recipes! Since it is so cold here, we’ll start with spring produce in soup form to keep us warm, m’kay?! Whatever state is sending us spring produce…THANK YOU! We adore you. No really we do. Because we won’t see fresh Michigan asparagus until almost May, and I just can’t go that long without some spring in my life! When I saw the first asparagus sale from at the store a couple weeks ago, I snagged what I could and to the girls’ complete delight we had roasted asparagus with dinner that night – something other than winter veggies! They were in heaven! 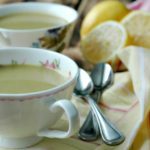 Leeks and lemons are such a bright and fun spring addition to this smooth and creamy soup too – it’s like spring in a bowl! It is just so good. This soup – you will want cup after cup after cupful. The mild leeky onion allows the rest of the veggies to really shine through, and that tangy bright lemon and yogurt put it over the top. 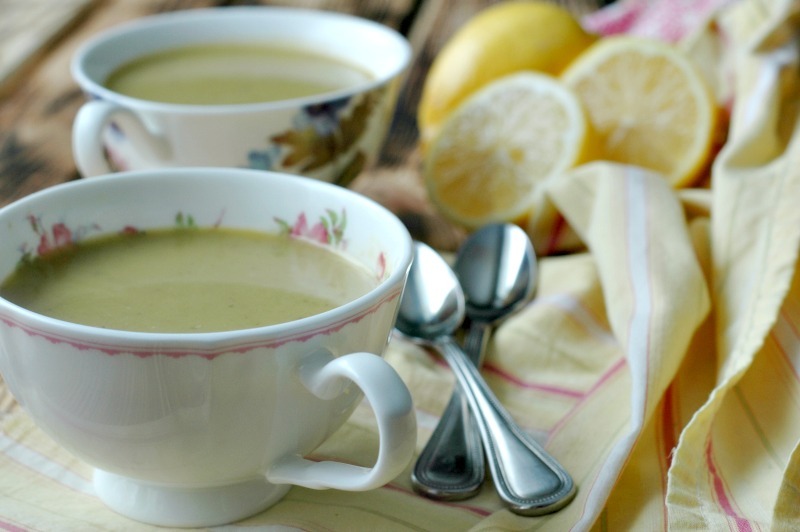 Once you try the little hit of lemon in your asparagus soup, you’ll never go back. This soup would be a great appetizer or soup course item for Easter brunch or dinner. Your guests will be wondering what it is that is making the flavor so amazing, and it is really that combination of the perfect balance of sweet veggies, tangy finishes, and delicious herbs. It will vanish before their eyes! I cannot wait to make this soup all spring long! If you happen to snag a great in season deal on asparagus this spring, you can really stock up your freezer with asparagus soup. Shopping veggies in season is defintely how to keep your real food budget in check. 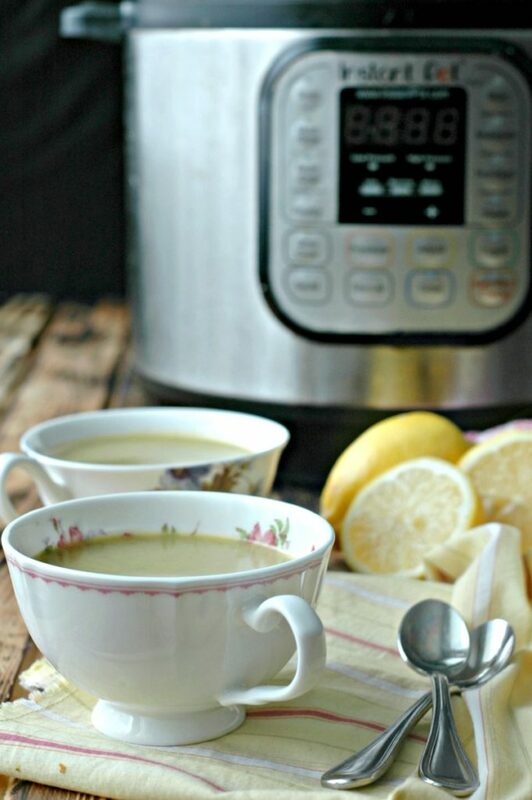 And since we can make the soup easily in our Instant Pot, the though of making it all season long doesn’t sound daunting! If you have the 8 quart, I bet you could double this recipe! The perfect, kid friendly (and not so veggie loving person friendly) soup! I made this soup on the “soup-ier” side so I could drink it from a mug easily, and so my younger girls could easily use a straw for their school lunch thermos. When my girls were older baby and toddler ages, they really loved eating soups like this with a straw. Between the pressuring cooking time and the blending of the soup, I promise there are no asparagus “strings” left and it is super kid friendly in texture. While I absolutely believe in making sure kids are exposed to every food texture, I understand how those bigger asparagus spears can be kind of stringy. The texture of this soup is soup smooth and creamy – perfect for kids and adults alike! Absolutely fill your freezer with at least a couple quarts of leftover soup when you make it! When late fall and middle of winter hit your home, it is SO nice to pull out a jar of spring flavors to change up your menu! To freeze the soup, I like to cool it to room temp, and then fill BPA free freezer quart containers. If you freeze in glass jars, just be sure to leave the lid off for 24 hours in the freezer so it has room to expand and not break your jar. You can put the lid on once it freezes completely. 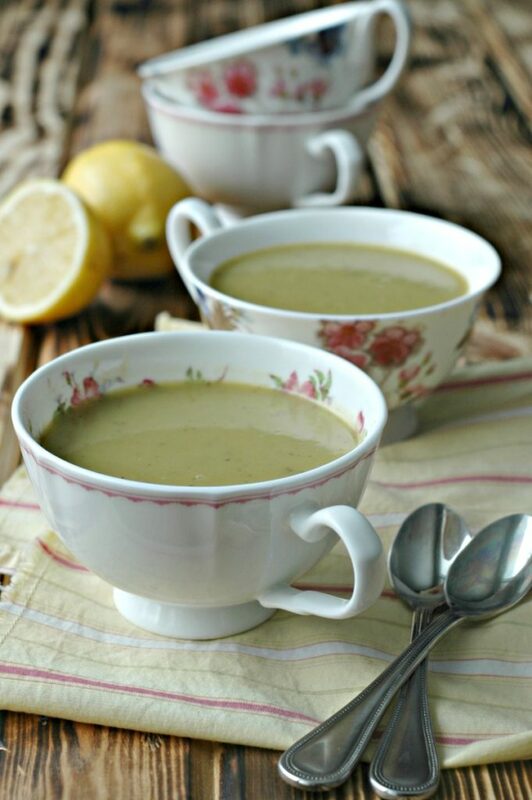 Spring Leek & Asparagus Soup :: Gluten & Dairy Free! 3-4 tbsp friendly fat to cook in I prefer the flavor of a combo of butter and olive oil. Ghee is lovely too. When the 10 minutes of pressure cooking is done, release the valve and take the lid off. 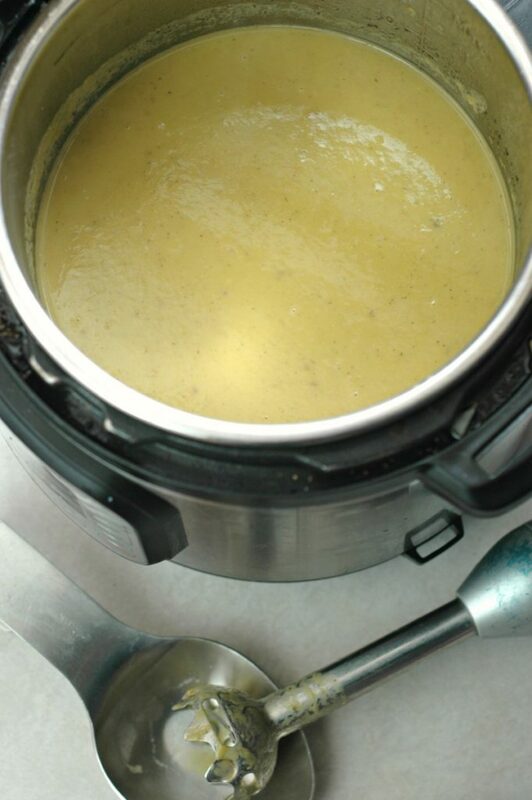 Blend up the soup using your immersion blender or regular blender until it is smooth. Stir in the yogurt and lemon juice, and then taste for salt and pepper. You can sea salt and pepper the soup to your taste, and serve. 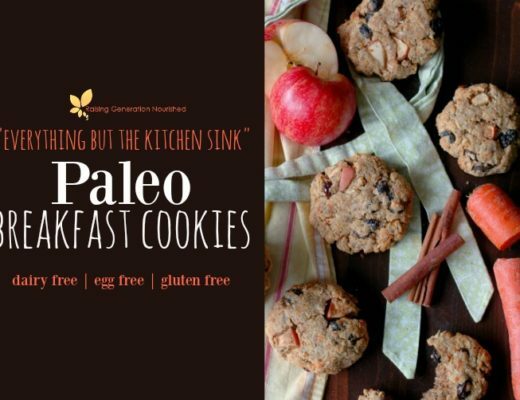 More real food SPRING recipes you might like! I love it when asparagus is in season! Pairing it with leeks fo soup is so good! 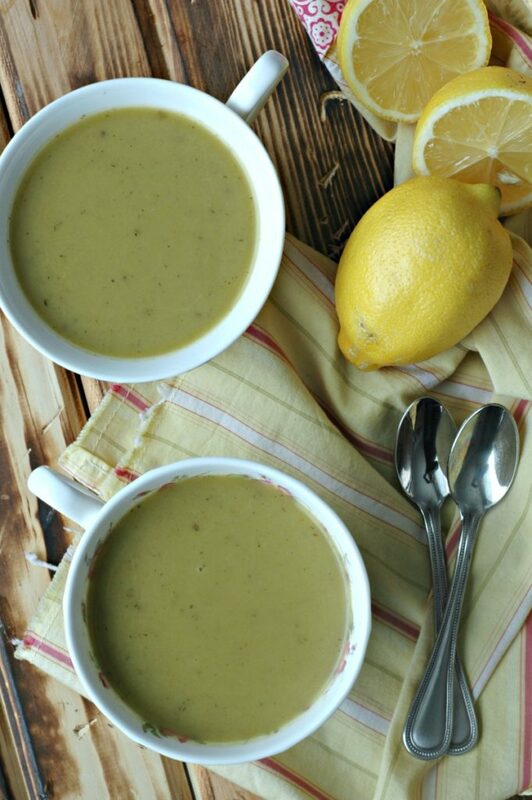 The creamy texture from the potato really makes this….and the lemon of course! What a great way to start dinner! This soup screams spring. Love both leeks and asparagus! We’ve been getting buried in snow here as well, so I can definitely relate to needing something, anything asparagus in my life right away! I love the lemon in this. Yay that spring is kind of/almost here!! 😉 So happy about leeks and asparagus and soup and sunshine!! This is lovely! 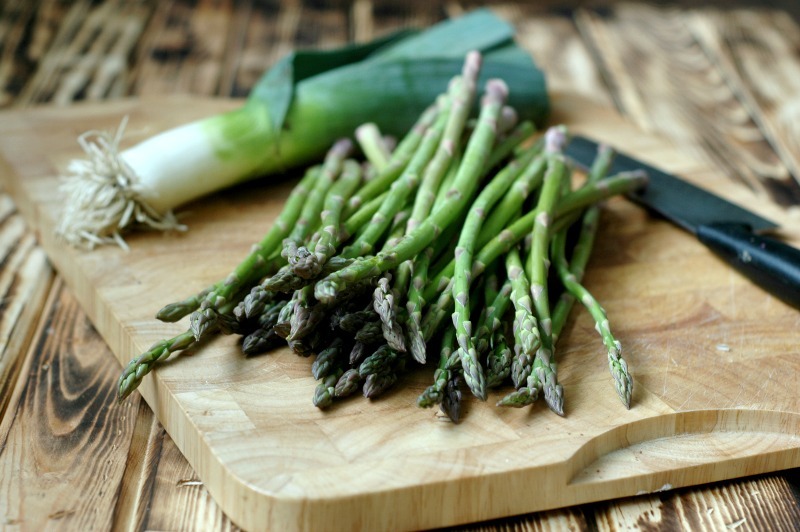 I love asparagus, but I make it the same way every time – roasted in the oven! I need to give this soup a try, sounds great!! 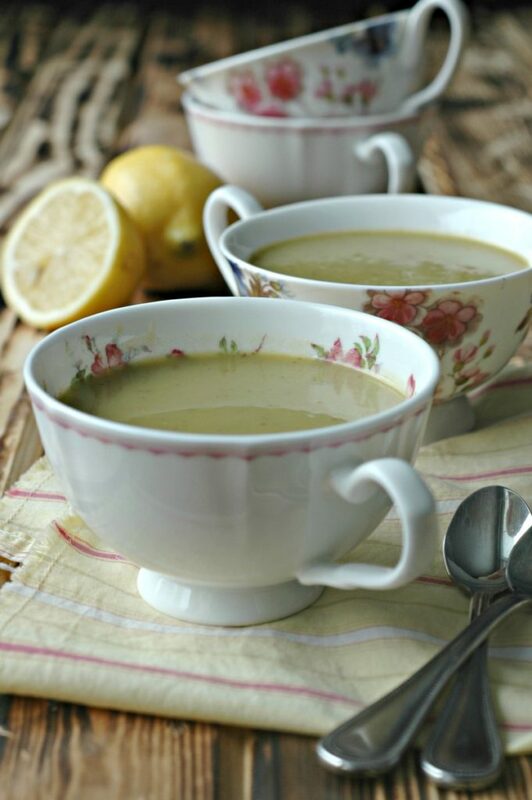 What a gorgeous spring soup! My kids aren’t super huge asparagus fans, but I bet they would eat this! They pretty much love anything with potato… haha. Yum, this makes me SO excited for spring! Love the sound of this light and healthy soup. Yum! I admittedly am not great about making or eating leeks, so I love how this will push me out of my comfort zone. I can’t wait to try it! This is the perfect recipe for fresh spring produce! I love how easy it is to make in the Instant Pot. Oh man, this is SO what I need right now to feel like spring is here…or at least on its way. This looks so good! This was so delicious, even my son (he is a non-veggie friendly person) loved it. Asparagus is one of the few veggies he likes, so I made this in my IP for him as soon as I saw this! I love your Instant Pot recipes and can’t wait to try this one. I’m also super excited to see asparagus show up in our stores again! Spring is coming! what a delicious sounding soup and I’m loving it can be done in the IP — plus I just say a bunch of leeks on sale yesterday, so I’m IN for this one! That’s spring in a cup! I totally don’t use leek enough. Your recipe inspires me to try this. Best of all, I love instant pot recipes. I am happy when asparagus is in season and when I see a recipe like this! Thanks for sharing, it’s perfect for the spring. I love leak based soups! And everyone in my house loves asparagus so I think this soup will be an easy sell… even to my littles. Thank you so much for an easy, healthy, warm spring recipe! how can I make this low FODMAP? Not sure if leeks are permitted. Onions and garlic are not. 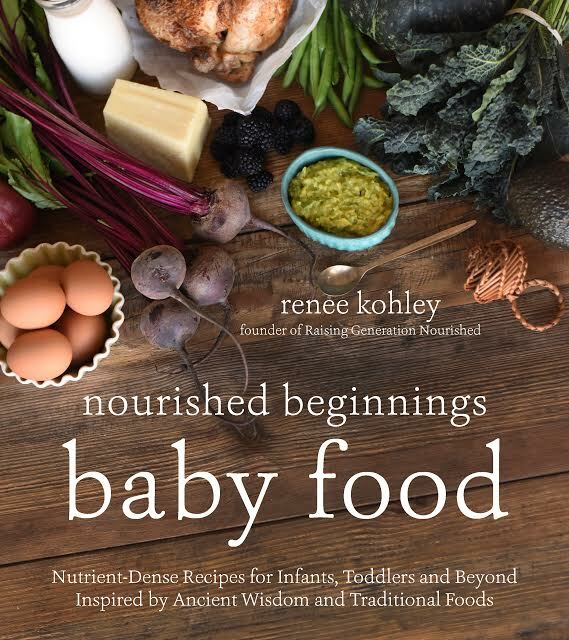 Renee- this looks lovely! I would love to make this, but I don’t own an IP. I’m assuming it can be adapted for a stovetop version? How would you go about that? Thanks! 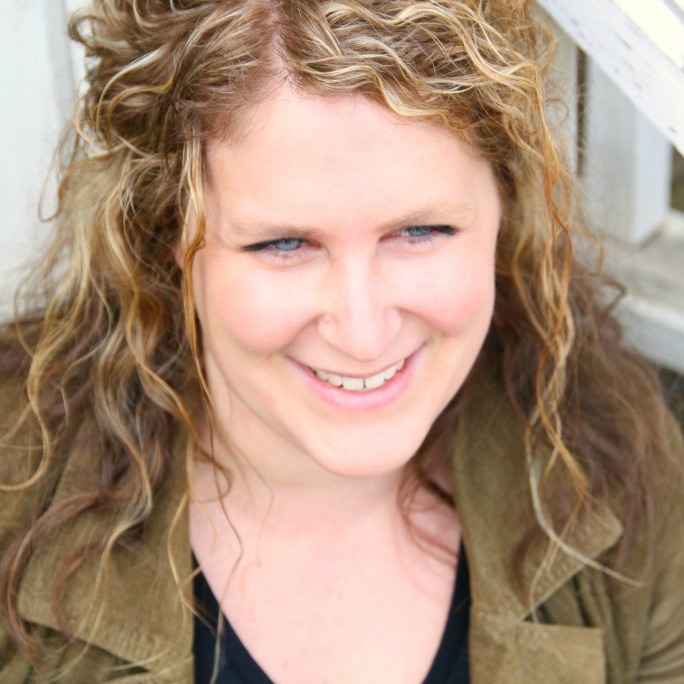 Hi Rachel! Absolutely! 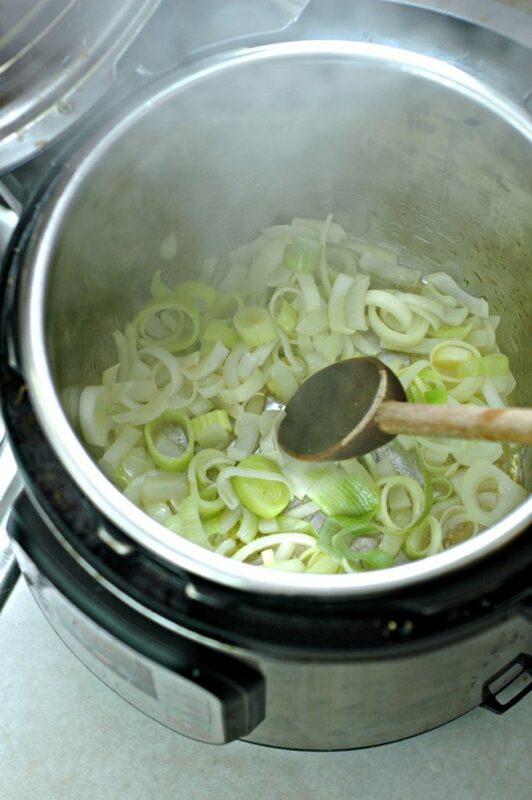 Just saute the leeks and garlic in the bottom of a soup pot the same way as the first part of the instructions. Then you can add the asparagus, potatoes, broth and seasonings, bring to a simmer and simmer until the veggies are very soft. Then you can blend it up!